IPL 2018 RCB vs RR live streaming will be available online. You can watch live cricket match today on Hotstar and Jio TV app. The telecast / broadcast of Royal Challengers Bangalore vs Rajasthan Royals will be provided by Star Sports network as they are the official broadcasters of the tournament. There are two matches on Sunday. Another is KXIP vs CSK. The IPL RR vs RCB t20 match will start at 4 pm on April 15, 2018. It will be played at M. Chinnaswamy Stadium located in Bengaluru. The Royal Challengers lost their opening match against Kolkata Knight Riders (KKR) by 4 wickets. But, they bounced back and won the second one against Kings XI Punjab (KXIP) by 4 wickets, too. With one win and one loss, the Bangalore team stands at number 5 in the IPL 2018 points table with two points. Today, it’s going to be their third encounter of the tournament and will play Rajasthan. After defeating Kings XI, Royal Challengers must be high on confidence and would like to carry forward the momentum in the Indian Premier League season 11. Audience having TV access can watch the live broadcast on Star Sports 1 / HD and Star Sports Select 1 / HD in English. While, Hindi commentary will be available on Star Sports 1 Hindi and its HD channel. However, who don’t have the luxury of television, they can also watch the stream live on Hotstar website, Hotstar app, Jio TV app, and AirTel TV app. You can also catch the ball by ball updates, scoreboard, and other details on this site too. It was the brilliant batting of South African batsman AB de Villiers which led the RCB to their first win this season. He scored an awesome fifty against Punjab at the same ground. Not only batting, but bowling lineup also performed well in the last match. Pacer Umesh Yadav was successful in ending the innings for three batsmen in one over. Royals didn’t play the last two seasons because of the two year ban due to fixing allegations. Now, after returning to their home ground, they started with a 10-run victory against Delhi Daredevils (DD). That game was affected by the rain. It appeared that RR got lucky due to the Duckworth Lewis (DL) method. On a concerning note, they need to improve themsevles in certain areas and that includes batting, especially. RCB has got some good and seasoned players like de Villiers and de Kock. Against KXIP, they scored 45 runs and laid the foundation for the tean’s victory. The visitors are led by skipper Rahane. Besides him, Sanju proved to be an assest. Both of them scored 45 and 37 runs off 40 and 22 balls respectively. Now, they would love to carry forward their momentum into this match too. However, the rest of the batting lineup is a serious concern. Butler, Tripathi, and Arcy Short need to deliver the goods. But, the bowling lineup of RR proved good so far. Laughlin and Kulkarni restricted DD batsmen to a managable score with their variations. Stokes has been able to perform to the best level yet. He has scored a mere of 21 runs in two matches. 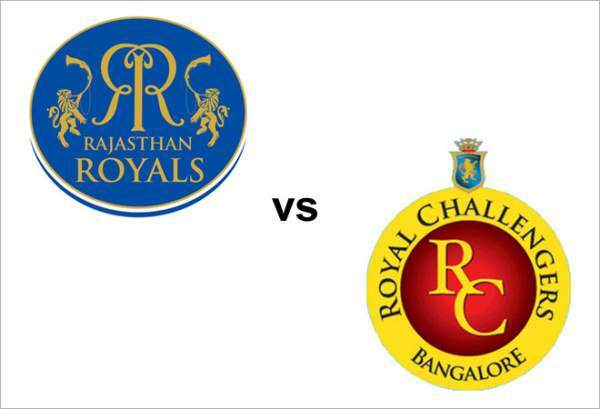 Hope you got the required information regarding rcb vs rr live streaming cricket score. Stay tuned to The Reporter Times for more.